This masterwork brings together hundreds of articles that describe the people and events in the life of Ellen White, as well as her stand on numerous topics. Everything from the hymns Ellen White loved to the homes she lived in are covered in heavily referenced articles. You’ll find a detailed chronology of her life and extensive articles on her ministry, her theology, and her statements in the light of advancing scientific knowledge. Whether you’re preparing a sermon, teaching a class, or finding answers to personal questions, this single resource has the answers you need. Jerry Moon, PhD, served for many years as chair of the Church History Department in the seminary at Andrews University and editor of Andrews University Seminary Studies. He coedited The Ellen G. White Encyclopedia, His dissertation, "W. C. White and Ellen G. White: The Relationship between the Prophet and Her Son," was published by Andrews University Press in 1993. 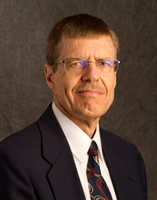 Denis Fortin is professor of theology at the Seventh-day Adventist Theological Seminary at Andrews University, Berrien Springs, Michigan, where he served as dean (2006-2013). Born in Quebec City, Canada, Fortin served as a pastor in Quebec prior to moving to Andrews University. He is coeditor of the Ellen G. White Encyclopedia and married to Kristine Knutson. Many of us have been looking for this book for over ten years. I was and am very excited to have my copy. It will prove very useful as a quick and ready reference to a number of topics and issues. The articles read well and are written for a wide and general audience. This is a good place for many new to Adventist Studies to start. I was surprised to find no mention of the groundbreaking 1982 Prophetic Guidance Workshop where the historic Ellen White was restored through a number of papers presented, totaling some 941 pages. One of the editors, Professor Moon, recognized the oversight, but will consider it for future editions.